Time to get the party started and the celebrations under way. Make it an event you won’t forget with the ride of your lifetime with Perth’s No.1 limo party providers. You have really worked yourself hard to finally graduate so now you damn deserve nothing more than to tantalisingly treat yourself with stylish stretch class limousine care. Why not do so by letting yourself loose with a Perth Limo Experience, guaranteed hire that will be as remarkably rewarding just like your graduation gift or party presents. There are grand good feelings presently pulsing through you and you are ready to get rockin, rolling, moovin and groovin. 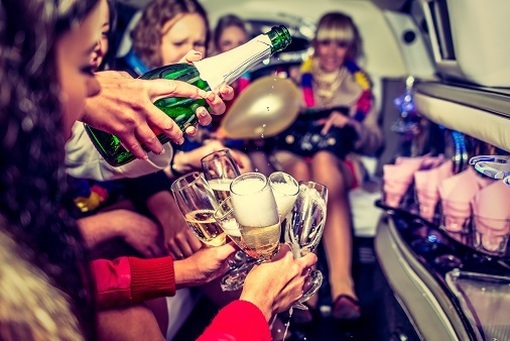 With the help of our limos, we will help you Perth party goers get there with your groove on, with a pre party packing a punch of penultimate pleasure and praise. Our drivers offer top end service to every single one of you graduation or party people. With doors open awaiting your company, driving you swiftly, safely and sweetly from your A to B. With limousines looked after so flawlessly that they stand out in the crowd, you will too. The excitement will be high leaving you with nothing but good vibes. Just Imagine you and all your fabulous friends in a decked out dream of a lavish limo together on your wicked ways to your party. We don’t think there is a better way you could possibly have getting there. Consider it the transport time of your lives longing for your satisfaction. Don’t have a party to go to? or a graduation to celebrate. Have no fear our expert experienced drivers are here. Let them use their craft skills to show you a good limo hire Perth night out and take you to some of the best spots on offer. A night you will love regardless of the events ahead, knowing that you get to spend it in a limousine is ridiculously radical beyond reason. Get groovy as we get moving. We can takeyou to wherever your party is, pick you up and have you home in one piece later in the night. We are excited and you should be too.